In a variety of fields including health care, therapy, coaching, education, management, leadership and well-being there is a great deal of interest today in the scientific and applied aspects of “positive psychology.” What practitioners in each of these fields have discovered is that a positive approach to any of these specific aspects of life can make the difference between flourishing and mediocrity. Key to that approach is building and sustaining a vision for future success, and the ability to shift focus from simply coping with the past. The Positive Psychology Tour 2016 offered the latest in theoretical and practical tools. It all started in Hamburg July 2016 with a two-day-symposium “The Cutting Edge of Positive Psychology – focus of positive psychology”. The experience of happiness and well-being is performance-enhancing! The results of Barbara Fredrickson’s study “The power of positive feelings” were particularly impressive. From the moment she leaves her home, on her way to the University of North Carolina (USA) where she now teaches, the likeable and worldwide known psychologist Barbara Fredrickson has a message to share: the licence plate of her car reads “Be open”. Choosing to avoid the commonplace “Be positive” with her mobile imperative, Fredrickson states that “Pursuing positivity is a delicate art” and openness is an important means for practicing that art. As a practicing scientist, Frederickson has been able to prove, on the one hand, that positive emotions can physiologically broaden perception and therefore attentiveness (“Broaden”) and on the other hand that positive feelings contribute to building abilities and personal resources (“Build”). While broadening our perceptions and attentiveness, certain messenger substances released by our brains while we are experience positive feelings enable us to recognise, process and make more connections in current situations. Our mental flexibility, creativity and resilience increases and our perceptions of the environment become “more social”. Therefore we experience a stronger sense of togetherness and are more able to put ourselves in the position of others. This “more social” perception of the environment is seen by Fredrickson as the basis of our capacity to build interpersonal relationships. With her use of the term “love”, she explains its scientific use. In her new book, entitled Love 2.0, Fredrickson describes love as a force far greater than that understood in the prosaic interpersonal experience of temporarily shared positive emotions. Beyond emotion, Frederickson’s concept of love comprises behavioural synchronicity (this means that body movements, gestures, facial expressions start assimilating) and more interest for one another, attentiveness and caring for each other. Love, as defined by Fredrickson is therefore a positive mutual resonance between people. The scientist also defines it as one of the 10 positive basic emotions which can also be understood as a mixture of several of these positive emotions. The other 9 basic emotions are joy, thankfulness, satisfaction or serenity, interest, hope, pride, pleasure, inspiration and emotion or awe. In the working world this positive resonance between people can be found, for example, in an inspiring, mutually supportive encounter with a colleague or in a strengthening and unifying team experience. Prerequisite for this is the existence of a feeling of safety and the opportunity for creating a connection to another person by ways of visual, body or vocal contact. Whenever we feel safe our ways of perception and actions can be expanded. When we feel connected to somebody this favours the possibility to be on the “same wavelength” with our counterpart. To be able to build abilities and resources through positive emotions it is necessary, according to Barbara Fredrickson’s “Broaden & Build” theory, to experience positive feelings as often and as regularly as possible so that these can accumulate, while the intensity of these emotions is lessimportant. Abilities and resources include all subareas of our experiences and behaviour: physical, mental, social, intellectual and emotional. On a physical basis, Fredrickson was able to establish a direct link between frequent experiences of positive emotions and strong effects on our health. In particular these effects relate to our cardiovascular system, antibody protection, antiviral resistance and reduction of inflammatory reactions. People experiencing at least 3 times as many positive as negative emotions (emotion ratio > 3:1) are described as “flourishing” people by Fredrickson. Flourishing people do not experience fewer negative emotions but experience positive emotions as being stronger and longer lasting, suffering less from exposure to negative emotions. People who experience positive emotions more often are able to develop a self-empowering upward spiral of positive emotions. 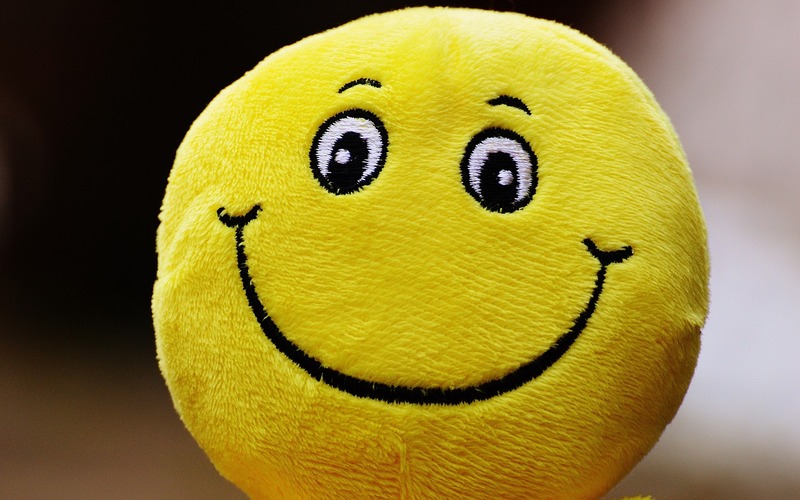 But how can positive emotions be reinforced in our everyday lives? A possibility therefore is, according to Fredrickson while presenting her workshop, the so called Loving-Kindness-Meditation – a classic meditation technique during which attentiveness is connected with the experience of kindness and affection towards others and oneself. For the effectiveness of this meditation form it is necessary to practice this method in short but regular periods (e.g. everyday 5-10 minutes). (Directions can be found under http://www.positivityresonance.com/meditations.html). The second recommendation from Barbara Fredrickson for increasing positive emotions in daily life is to give priority to positive emotions in general. This can be achieved by choosing carefully among alternatives promising the most positive emotions in the course of decision-making situations, e.g. planning of leisure activities. Further, the researcher recommends taking the time to enjoy positive emotions once they are there as thoroughly as possible and to be aware of them. In conclusion, she recommends trying to express appreciation, affection and recognition towards others as authentically as possible.